Dr. Ronald Burakoff is Chairman of the Department of Dental Medicine at Long Island Jewish Medical Center (LIJMC) and North Shore University Hospital (NSUH). He is the founding chair and professor of the Department of Dental Medicine at the Zucker School of Medicine. He is also the chair of the Appointments & Promotions Committee of the new medical school. He received a BS in Science from McGill University in 1969, a DMD from Tufts University in 1973 and MPH from the University of North Carolina in 1974. From 1974 to 1982 he served in the United States Public Health Service. He is a Clinical Professor at NYU College of Dentistry and was a Clinical Associate Professor at Columbia School of Dental & Oral Surgery. 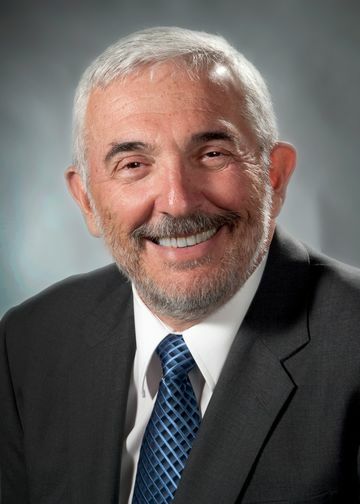 Dr. Burakoff has served as the Project Director of over one million dollars of sponsored research for health manpower training and service grants from state and federal governmental agencies. At Long Island Jewish, Dr. Burakoff maintains a general practice concentrating on preventive and restorative dentistry. Dr. Burakoff is chair of the Performance Improvement Group and is responsible for reporting l quality activities at LIJMC to the Medical Board. View this researchers publications at PubMed.